The American workforce is currently in a state of flux. Around 10,000 baby boomers — people born from 1946-1964 — are retiring every day, resulting in labor shortages. Millennials— people born from 1981-1996 — now take up the largest portion of the labor force and, at ages 22-36, they are no longer the “next” generation. They have graduated college and the majority of them have years of experience under their belt and are now taking on leadership and managerial roles. Moreover, half of all millennials say they are actively looking for a new job or keeping an eye on job openings, according to one study. There’s an obvious solution here: Replace retiring baby boomers with millennials. But some companies find it difficult to recruit or are reluctant to take on younger hires. They think millennials are lazy, selfish, and entitled. This couldn’t be further from the truth. Millennials can bring a fresh perspective to your business. They tend to thrive on change and growth and are comfortable with expressing new ideas. Many millennials have entrepreneurial mindsets and take ownership in their work. In fact, half of them plan to start a business in the next three years. Younger employees are typically tech-savvy and more likely to use social media than any other demographic (88 percent of 18-to-29-year-olds use some kind of social media platform). Regardless of your niche, social media is more important than ever before. Since 2012, there has been a 200 percent increase in the number of people who talk about brand experiences on social media, for example. Young people can revolutionize the perception of your brand for a digital age. They can utilize technology to improve processes and help your organization embrace change. Yes, millennials may be impatient and some have short attention spans. However, their energy, drive and flexibility can bring incredible value to any organization. Recruiting young hires can be tricky. Millennials have access to more information than any other cohort in history, and they often research the brands they want to work for. Websites like Glassdoor provide them with information on a company’s values, benefits, and perks. Be prepared to answer some questions about your company culture during the interview process. Start with your current employees. Do they enjoy working at your organization? Do you have a solid culture that would be appealing to new hires? If not, fix that first. Then, we suggest getting your company culture out there for the world to see. Utilize social media to show the work that your people do in the community. Share posts about fun social activities that you do as a company and make sure to highlight any awards or achievements by employees currently working at your organization. Feature anything that shows the culture of your workplace and the values that are important to your organization. 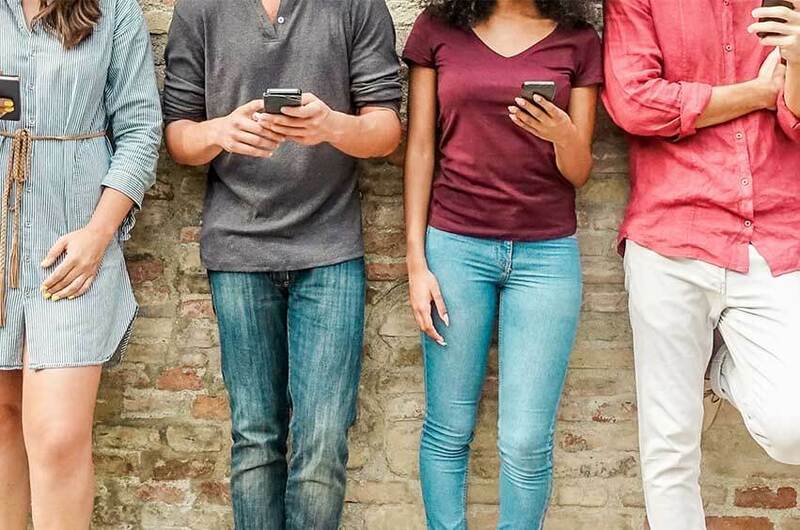 If you’re bringing in more millennials to your organization, you might want to make a few tweaks to your business models and policies as well. Flexibility: Adding flexible scheduling will certainly help retain the millennial generation, and showing this in the recruiting process will allow you to compete for top talent. Benefits: Benefits are critical to candidates with young families. Speed & Responsiveness: Your speed and responsiveness are also essential. Again, this generation is used to instant responses. A long, drawn-out hiring process can be a major turn off and your organization will lose against companies that are faster, communicate better, and show more efficiency during the process. At Lutz Talent, we put a strong emphasis on constant communication with millennials that are open to hearing about new opportunities. Many of these folks are not actively applying for jobs on job boards or reaching out to organizations with openings. These folks are waiting for the “right thing” and we can reach out to them once we find that with one of our clients. Using Lutz Talent for your hiring needs will open up the candidate pool to top talent that you cannot find on your own. Train your managers to be mentors. Young people love to learn and they crave feedback. In an age of “likes” and “re-tweets,” millennials want more recognition and “real-time” communication. An annual performance review isn’t enough — 65 percent of millennials say personal development is the most influential factor in their current job. Keep them engaged and informed. Mentoring and communication will help (79 percent of millennials want their boss to act as a mentor or coach), as will personalized training plans that provide them with a wide range of technical and leadership skills. Give them opportunities to try new things and take ownership in their work. Keep young hires informed. Email newsletters, social media posts, intranet bulletin boards — use these technologies to engage with young hires. Organizations are beginning to understand that the current and future success of their organization is dependent on hiring and retaining top talent. This takes change, effort, and a better understanding of how to be competitive in the job market. Lutz Talent is talking to these candidates every day and understands how to recruit the best of the best.